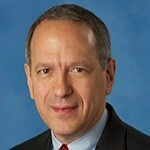 The massive US airline, United has named Gerry Laderman, to become the carriers new executive vice president and chief financial officer. Laderman is a 30-year United veteran of United and most recently had been working as the acting chief financial officer since May. He has held financial positions of increasing responsibility and will be responsible for developing United's overall financial strategy, including cost management, capital allocation and balance sheet optimization. "Gerry has been an integral member of our leadership team throughout my tenure at United. While leading the finance organization, he has focused on enforcing cost discipline and developing a fleet plan that is capital-efficient and flexible, all while partnering with the executive team to design and implement our growth strategy," said CEO Oscar Munoz. "Gerry is widely respected throughout the industry and on Wall Street for his innovative approach to aircraft financing and debt structures, as well as his effective management of the balance sheet. He is the leader that we need in this role to ensure the momentum we've built this year extends well into United's bright future." Laderman previously served as senior vice president of finance and treasurer for Continental Airlines from 2001 to 2010 and joined Continental in 1988. Prior to joining Continental, Laderman practised law at the New York firm of Hughes Hubbard & Reed. Laderman holds a bachelor's degree from Dartmouth College and a law degree from the University of Michigan.